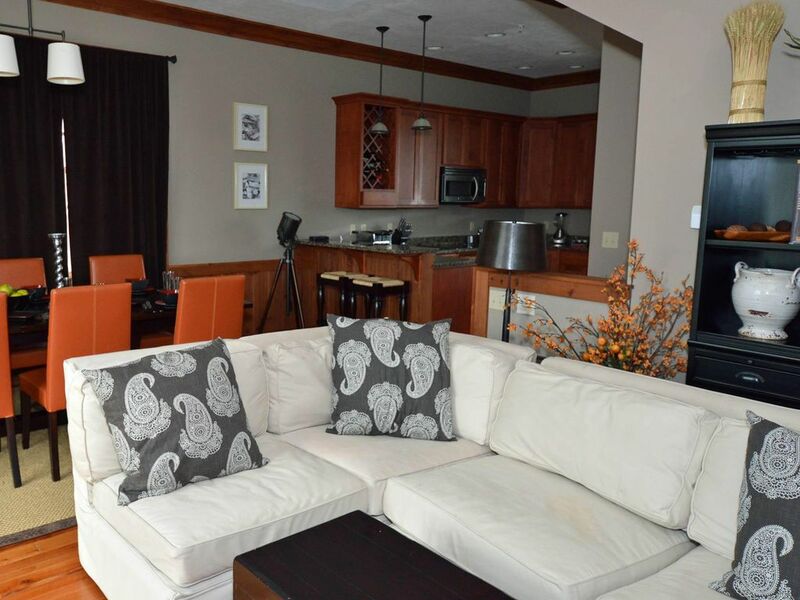 4 BEDROOMS, 4.5 BATHS: Private Hot Tub, Ski In / Ski Out, Snowshoe Village prime central location. 5 Flat Screens. Gas Fireplace. Awesome Views. MASTER Bedroom: Pillowtop King Bed, private bath with whirlpool & shower. TV/DVD. Bedroom # 2: Pillowtop Queen Bed, private bath with shower. TV/DVD. Bedroom # 3: Pillowtop Double Bed, private bath with shower. TV/DVD. Bedroom # 4: Pyramid Bunk Bed, Double down, Twin Up. Private full bath with shower. TV/DVD. PLUS: Ski Storage Area. Park at your door. Outdoor private hot tub. Free Long Distance Free WiFi. LOCATION: North end of Snowshoe Village. Ski slopes on 3 sides of you. Next to ski school, Big Top game room, and novice trails make it perfect for families with children. ENJOY: Loads of space on 3 floors. New construction. Fully furnished. Outside Deck. Private Hot Tub. Endless sunset views. An excellent choice for 2 or 3 couples with kids.